It’s inevitable, the more things we load onto our plates, the more stressed we become. As we get older and busier, we forget to take time for ourselves to keep our stress levels at bay. 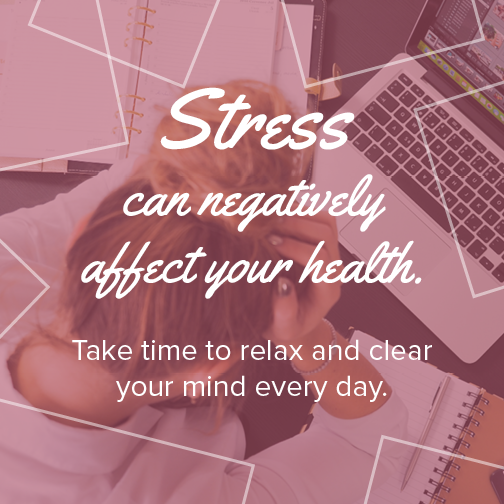 While stress may cause mood changes per individual, did you know it can also lead to physical ailments and oral problems? It’s true! Stress can affect your teeth! One of the major dental concerns related with stress is bruxism. Bruxism refers to clenching and grinding of the teeth which is caused by sleep disorders, misaligned teeth, and/or stress and anxiety. Severe clenching can even lead to temporomandibular disorders which affect your jaw joint. If you notice that the tips of your teeth have become flatted (and usually match with a flattened tip on another tooth on the opposite arch), tooth sensitivity (due to enamel wear), or scalloped borders on your tongue (from pushing your tongue against your teeth), bruxism may be the culprit. What can you do? There are many treatment options to deal with bruxism. If you are experiencing nocturnal grinding, a custom fit night guard may be your solution. Or if your bite is off, orthodontics can align your teeth properly to ensure your bite is as close to perfect as can be! Lastly, if you’re stressed, take the necessary steps to decrease your stress levels to make sure you are living a quality, happy life! A small getaway, some exercise, or even going out to explore are some of our office favorites in stress reduction. Talk to your Shoreline Dentist, Dr. Co, which treatment option is most suitable for your if you suffer from bruxism. In addition, current studies have also shown that stress may have an effect on your gums. While this has yet to be proven, research has claimed that those who are highly emotional are at the greatest risk for periodontal disease. It has also been observed that students are likely to get canker sores from increased stress. While canker sores have many derivatives, research has shown that students who are on school breaks or graduated display less incidence of canker sores than when currently enrolled. 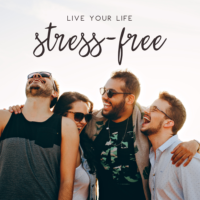 Minimize those risks by reducing your stress! Don’t let stress control your life. If you are experiencing any dental concerns that may be indicative of stress, give our office a call at 206.440.0065 to see how we can help. As we’re progressing into spring (and soon summer! ), be proactive in minimizing your stress levels by taking time for yourself daily. You’ll reap the benefits!